The other night I realised it was a no moon night so it was probably a great idea to head out into the bush to try and capture some Milky Way shots. The only issue was a large storm front was also due to hit the area that night. The sky looked clear so I decided to hit the road anyway and give it a go. The further inland I went the more I realised I was going to have to be extremely lucky to get the shot I wanted. Well Lady Luck was on my side and I managed to capture a great shot just before it started to pour down. I did have my sway out but within 5mins it was rolled up and in the back of the car. 3.5hrs later I had a great shot and I was snuggled up in my warm bed. A perfect night of star photography! 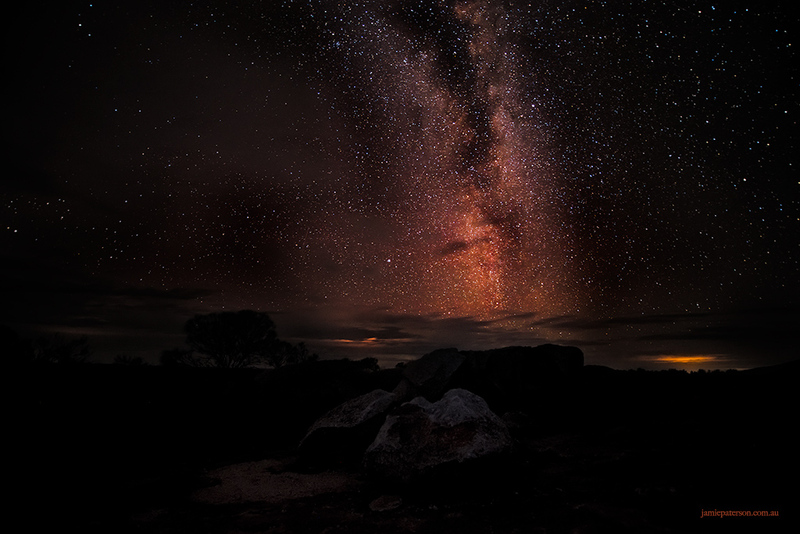 This entry was posted in australian landscape photography and tagged australian landscape photography, milky way, night photography, star photography.